Most children do not like the daily walk to and from school. They prefer a fun ride like a scooter! The major upside of a scooter is that it is stress-free and works well for kids of any age including adults. Again, some people might be required to use scooter based on a recommendation by their physiotherapist or for leisure. Whatever purpose you are buying a scooter for, the fact is that buying a scooter will help improve your overall well-being. So, we made an honest micro scooter review compilation! Because it’s not always easy to locate the best scooter around that doesn’t break the bank. There are many scooters out there that are highly affordable yet do not compromise on efficiency and performance. Thus it might be burdensome or misleading to choose the right product without a guide especially if you have no previous knowledge about scooters. If you are overwhelmed by the huge number of scooters in the market and wondering how you can find the best product, then you don’t need to worry anymore. This article will let you in on everything you need to know about choosing a scooter that’s worth your money. Are Micro Scooters Worth Your Money? This is a common question most people ask when contemplating whether to buy a scooter or not. In answering this question, we shall be looking at some important features and uses of the micro scooter. Great for Kids – As a parent, having kids between the ages of 1-5 years old, will find micro scooter helpful in guiding your kid on how to stand. This because of the lean-to steer function of a micro scooter, which makes it easier for kids to ride. Brake and Steer Mechanism – The steer lock functions help to keep the steering of the scooter straight so it doesn’t twist about when riding. Beginners will enjoy this function as they learn how to ride. Adjustable Height – Micro scooter can grow with your kid, as your kid grows he/she can alter the height of the handlebar to meet the new height of your kid. Maintenance – Micro scooter is easy to maintain. Each and every part is replaceable and easy to fix. Lightweight Yet Sturdy Frame – The weight of a micro scooter is such that a little child can easily carry, yet the framework is strong and durable. Quality Wheel – The wheel is solid and puncture free. After researching the market for the best micro mini scooters, we arrived at the best two products for the money. This is one of the best scooters that one can go for when it comes buying of a micro scooter. The Micro Mini Kickboard is one of the best scooter recommended for children between the ages of 2-5. Your child will enjoy the “surfing the sidewalk” of Micro Mini. As a parent, you will treasure the moments of play and fun it provides. If you want to surprise your kid with something unusual and incredibly cool, then this scooter is the way to go. You will find it worth the investment. Your little one will surely find it loveable and fun. As a kid scooter, it comes with high-quality wheels and s deck that’s very close to the ground. Both features work together to make the machine a lot more stable than most of its counterparts. This is also complemented by its safe steering. All these make the Mini original a perfect scooter for younger kids or those who are inexperienced. Overall this is an incredible scooter that promises not to disappoint. Don’t hesitate to impress your little one if you think his weight and size will match the ability of this scooter. If you are looking for a more classic option to the Mini Original but won’t mind paying a few extra cash, then the Mini Deluxe is the best option shot you can get. Although still new in the market, this scooter has attracted a lot of attention as a scooter with supreme quality just like the Mini by Micro Kickboard. It possesses almost the same features as the later. The scooter is specially designed for kids from the age of 2-5 and comes in various color options; up to eight. So you have the chance to select a color you kid will love. Interestingly, it has a higher weight capacity (75 pounds) than the Micro Mini and features an adjustable T-bar that won’t be outgrown by your little one. So it’s a scooter you won’t be replacing anytime soon except your kid really gets tired of it, which is less likely to happen. This award-winning scooter promises to provide a fun ride for a kid through the years, as well as rewarding exercise. It has three wheels which provide a lot more stability for your kid. Thanks to its high-quality gliding wheels, your kids can enjoy a smooth, quiet ride. This is complemented by its flexible fiberglass reinforced deck-which helps to absorb bumps on the streets or sidewalk. Overall, this is a great scooter for your money. You might not find a better alternative. After reviewing the top rated micro scooters for kids in the market, we found the Micro Sprite Kick Scooter to be more desirable and superior due to the array of interesting features it offers. Let’s check out the product in details. The Micro Sprite Kick is another top rated scooter by Micro Kickboard that is designed with comfort and longevity in mind. It comes with a set of advanced features that set it apart from other products in its category and provides great value for your money. This scooter is solidly built and consists of parts that can be easily replaced; this way the machine is able to last long without losing its visual appeal. Thanks to its shock absorbing kickboard and balanced polyurethane wheels, you can expect your kid to enjoy a comfortable ride. Unlike many kids scooter, the Sprite has the capacity to support even teenagers and adults and still offer a comfortable ride without breaking down. More so, the machine has a foldable design which makes storage and transportation easier and more convenient. In other words, you can carry your scooter to the park and fold it quickly when you are done, then head straight home and store it away. Interestingly, this scooter comes assembled, so you don’t have to worry about coupling. A kickstand is also added for even more convenience. All you have to do is get your kid ready to romp the streets with the ride. Although the Sprite is lightweight, it can handle larger maximum load compared to similar scooters in its category. It also comes with an excellent brake system and foam handles for comfortable handling. All these features make it safe and an ideal choice for a kids scooter. However, just like every other scooter from Micro Kickboard, this model is on the pricey side. But if you can foot the extra bill, then it will be well worth it. You will find it incredibly durable and smooth to ride for your kids. Overall, this scooter will make a great ride for kids (boys and girls) that are 5-12 years old having a previous riding experience. It is available in various colors, so you can choose one that’s your kids favorite. We found the classic silver really stunning. The Micro brand is one name that is now synonymous with scooters, which is why it’s not surprising they have the best scooters in almost every category. No doubt, the Micro Maxi Kick Scooter is one of such products. The Maxi Kickboard is probably the most popular scooter in the market right now, and it’s for the right reasons. It comes with an elegant design and a good number of interesting features that guarantee a fun and lovely ride. This makes it one of the best gift toys you can get your kids. This machine is smooth and sleek and can move just like skateboards on walkways – thanks to its unique slide and bend feature. Before going for a ride with the scooter, we advice tightening handlebar clamp with the hex wrench that is provided with the product package. This will help provide adequate resistance to ensure steady movement and better handling. Luckily, every part of this scooter is replaceable, which means it can last for as long as you want or for the period it’s still attractive to your little pumpkin. Also, its adjustable handlebar ensures that your kid doesn’t outgrow it. To ensure a smooth ride, especially on urban or suburban pavements, the machine wheels are made with high-quality polyurethane material. The incredible glide these wheels provide is what makes this scooter a fun ride for kids. Though older kids can use the Maxi, it’s mainly recommended for boys and girls between the ages of 5 and 12. Again, this scooter is an incredible product with supreme quality. It provides the safest and sleekest ride for your kid. It is lightweight and very versatile. Over time, it has proven to be the best scooter for the money. When in the market for a good scooter, there are several things you need to look out for in order to buy the one you will be proud of. This is because the market is flooded with a lot of brands, and it can be a bit overwhelming deciding the best scooter for your money. The guide below quickly highlights the most important things to consider when shopping, in order to buy a scooter that will offer a safe and enjoyable ride for your kid. A scooter can either come with two wheels or three. Kids that are still too young or those who don’t know how to ride are better off with 3-wheeled scooters as they tend to be more stable and much easier to turn. Older kids who have some level of experience in riding a scooter or skating, are more likely to prefer the 2-wheeled scooters. Such kid usually possesses great balance which makes it possible for them to comfortably ride on these scooters while falling off. Whether you choose a 2-wheeled or 3-wheeled scooter, it depends on the age and riding skills of your child. But younger kids who start with 2-wheeled scooters are eventually able to move on to 3 wheels as they learn how to ride. It’s always desirable for scooters to come with handlebars, as it allows kids to steer the machine in different ways easily. One of the most effective options, which is common with many scooters is the T-bar. However, a few scooters still allow you to purchase an additional type of handlebar for increased comfort. A good example is the Maxi scooter. To ensure easier transportation and storage, we highly recommend you to go for a scooter that has a foldable design. This will make it easier to carry the bike to the park for a ride or quickly fold it up for storage when your kid is done. This is extremely important since it’s something you are buying for a 5-year old or so. The type of material used for constructing a scooter is extremely important as it goes a long way to determine the weight and stability of the scooter. Common scooter materials include aluminum for the deck and polyurethane for the wheels. Both materials are highly recommended because they are lightweight and make the scooter sleeker and smoother to ride. They are also good for absorbing bumps on the street, roads or sidewalks. All the scooters we’ve featured on this list are all built for quality and durability. So you can rest assured you won’t be replacing anyone in a few years. This is because they’re all equipped with replaceable parts so that they can last for as long you want. The use of adjustable handles ensures that your kids don’t outgrow the scooters. Q: What age can I buy a scooter for my child? A: There’s really no perfect age for a kid to start riding a scooter. It all depends on their balance and the abilities of the particular scooter you have in mind. However, once a kid can comfortably walk and run without going off balance, he or she is ready to use a scooter. As earlier indicated, make sure you go for a scooter that fits the age range of your child. Such a scooter should be designed to support their size and weight. Q: Should I be concerned about the safety of these scooters? A: Sure. Although there are many safety features embedded with these scooters, it’s still important to take precaution to avoid fall offs which could lead to injuries. Avoid going fast and try to always ride on flat surfaces. Of course, this instruction applies to the kids. Q: What can I expect to benefit from a 3-wheel scooter? A: Both 2-wheeled and 3-wheeled scooter basically serve the same purpose. However, a 3-wheeled scooter seems to offer more stability, which is why they are more suitable for younger riders or those who have no experience. A 3-wheeled scooter van either have one wheel in the front and two at the back or two in the front and one at the back. The latter tend to offer even more stability. Q: What type of safety gears do I need for my kid? 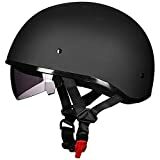 A: Usually you will need a good helmet, especially if your kid has never used a scooter before. You may also want to get pairs of elbow and knee pads. You might find these items together in a bundle. Make sure they are comfortable for your kids, especially the helmet. Q: How can I teach my child how to ride a scooter? A: Riding a scooter is not rocket science. Any kid with interest can easily do it with a little practice. However, doing the coaching all by yourself might take a little more time and effort. The easiest way is to take the child to where other kids are riding theirs and allow him to imitate them. Regardless of the scooter you choose, ensure its ability matches that of your child’s weight and size. Also, pay attention to the type of construction materials used because that’s what will determine how long the scooter will last. Luckily, we’ve done all the hard work for you in this micro scooter review. All you have to do now is pick a product that will fit your needs. In case you have any more questions about the best micro scooter to look at, feel free to leave your comment or send us an email.